The School for Professional Studies will host an information session at its St. Louis campus. This session is open to the public and designed for anyone looking to learn more about adult education options from the University. 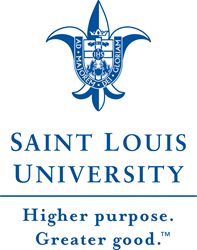 The School for Professional Studies at Saint Louis University (also known as SLU for Busy Adults) will host an information session on July 29 at its St. Louis campus. This information session is open to the public and is designed for anyone looking to learn more about adult education options from the University. SLU for Busy Adults offers several bachelor’s, master’s and certificate programs that are available in convenient online formats to meet the needs of working professionals. It is free to attend but registration is required. Light appetizers will be provided. For more information or to RSVP, visit busyadults.slu.edu or call (314) 977-2330 or (800) 734-6736. The session will include information about undergraduate degrees including Security and Strategic Intelligence, Computer Information Systems, General Studies, Organizational Studies, RN to BSN, Aviation Management, Organizational Leadership & Technology and Social Work. Several minors and certificate programs are also available including Contract and Project Management, Hospitality Management, Industrial Psychology, Strategic Communications and more. SLU also offers two fully online graduate degrees in Leadership & Organizational Development and Applied Analytics.